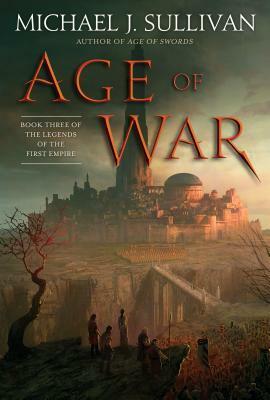 There are just a few hours left for your last chance to get an ARC (Advanced Reading Copy) of Age of War. More than 12,000 people have added the book to their Goodreads shelves and the 94% of the 285+ early rating/reviews have liked the book. 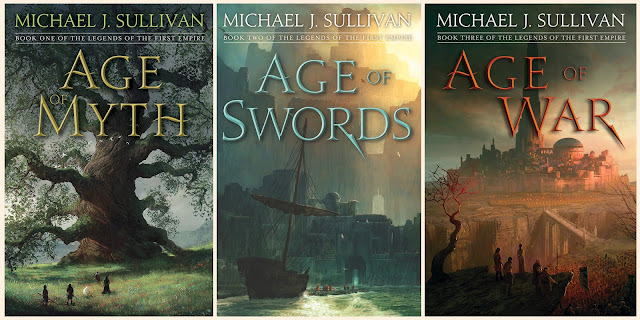 All this, and the fact that the vast majority of the reviewers have given it 5 stars makes me cautiously optimistic the book will continue the legacy of Legends series by providing an entertaining read. Giveaway ends May 31, 2018. So, if you want to read the book a month before everyone else, sign up for the giveaway and keep your fingers crossed! We are just 40 days away from the release of Age of War...that's less than six weeks! And I was just notified that the book has gone live on NetGalley. If you've not read the first two books, or have and want some refreshers, recaps are posted. I can't wait to hear what people think! Summer Listening 2-For-1 Sale: Get the first Riyria Chronicle at 1/2 off! I'm pleased to announce that The Crown Tower (The Riyria Chronicle #1) is now on sale as part of Audible's 2-For-1 Summer Listening Sale. 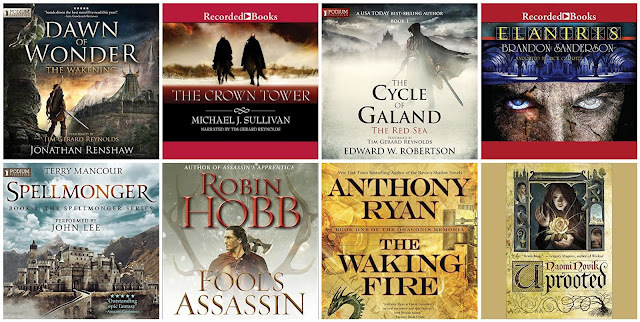 There are a ton of great titles in the sale including 8 terrific epic fantasy tales by the likes of Brandon Sanderson, Robin Hobb, Naomi Novik, Anthony Ryan, and many more. Here's the full list of epic fantasy (sorted by rating and # of reviews). But there are a lot more titles on the sale, so if you only see one epic fantasy you are interested in, I'm sure you can find another book to round out your selection. The sale is only running for a few days so you'll have to hurry. I hope you find something great to listen to. 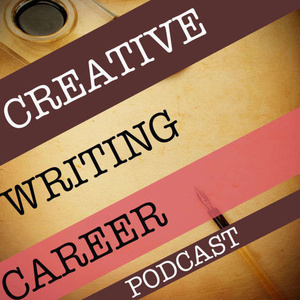 Recently I had a lot of fun as a guest on the Creative Writing Career Podcast. Justin Sloan (a prolific writer in his own right) was the host, and we talked on all kinds of subjects that may be of interest to both writers and readers. So if you want a peek inside my brain (and I can't imagine why you would want that), come on over and check it out. And thanks to Justin for taking the time to have me on the show. 5 Days and less than $3,000...let's hit this Kickstarter stretch goal! I love Kickstarters, Shark Tank, and all things entrepreneurial. I have a ton of products from them, and I've never regretted a single purchase. Some have made their goals, others have fallen short, but I always feel good about supporting people who are working hard to make their dreams become a reality. Recently, an author friend of mine launched his first Kickstarter (in no small part because I dragged him to do it). He has a following...more than 160,000 books sold to date, is a great story teller (this Kickstarter is for his third major fantasy series), and I believe he'll definitely be in the "writing business" for many years to come. He's one of what I call the professional self-published. Those that release books with the same commitment to quality that the big publishers are putting out. So, Phil funded almost immediately, and has reached a number of stretch goals, but his most recent goal is one I'm particularly interested in. Phil has rallied some of his self-published friends and for everyone that backs at the $10 or more level, they'll receive the first book in some really great indie series. So what books are coming if Phil reaches the next stretch goal? Like Phil, these authors are absolutely killing it in the self-published space. One of the things that most people outside the business of publishing (and inside it for that matter) is just how successful these authors are -- even though you may have never heard their names. And again, I attribute their success to producing high quality books that stand toe-to-toe with books put out by the big name publishers. I'd love for Phil to hit this next stretch goal. It has the potential to expose these amazing authors to a larger audience, and I think you'll find some new series to love. Not to mention. It's an amazing deal! For just $10 you can receive 7 ebooks (a $35 value) and if you prefer print or audio versions you can get those at the $25 and $35 levels. But don't take my recommendation of this Kickstarter on blind faith. Phil has an excerpt of the book (which is fully written, edited, and ready to ship after the Kickstarter closes), posted and you can read the first few chapters now. That way you can "try before you buy." So, take a look, and if you like what you see, please back Phil's project. Like I said, it's already funded (and written) so the risk factor has been eliminated. But if we reach the next stretch goal you'll be introduced to a bunch of the new indie elite and I'm sure it'll open the door to some great new series for you to dive into. Advanced reading copies (ARC's) are starting to go out and about in the world, and I just received my first email from a blogger who reviewed Age of War. As you might imagine, being an author with a book coming out soon is a lot like a child waiting on Christmas. I'm excited; I can't wait for the day to arrive, and I want to know what I got! For authors "what you get" is feedback on whether the book is loved or hated. Now, I must say, that I write books for myself and for Robin, so in many ways I've achieved what I wanted when I finally typed The End, but how could I not care about whether people liked it or not? The first review posted is on Booknest. It's completely spoiler free, so feel free to jump over and see the whole thing...and check out some of the reviews of other author's books while you are there. The team at the site does an excellent job. Here's my favorite part from all the nice things that were said. "The worst thing that can happen while reading is to feel nothing. Stories are ultimately about the people in it and if one does not feel anything, whether it is love or hate, towards the characters then their stories are not likely to stay with you. For all that Sullivan is known for his light-hearted fantasy, he can be downright cruel sometimes. The war exacted an immense cost on our beloved characters and no one who survived can be said to be the same again. At the end of this book, it is this transformation which sticks in my mind; surely a sign of a tale well-told." I write books that will hopefully make you feel. The best times (for me) is when I can make you laugh and cry, and if I do it in the course of a single page it's like winning a trifecta. I'm glad that TS enjoyed the book and is looking forward to the next one in the series.